Thank you for joining us for the Tag You’re It Challenge and we hope you will all join us again this week too. 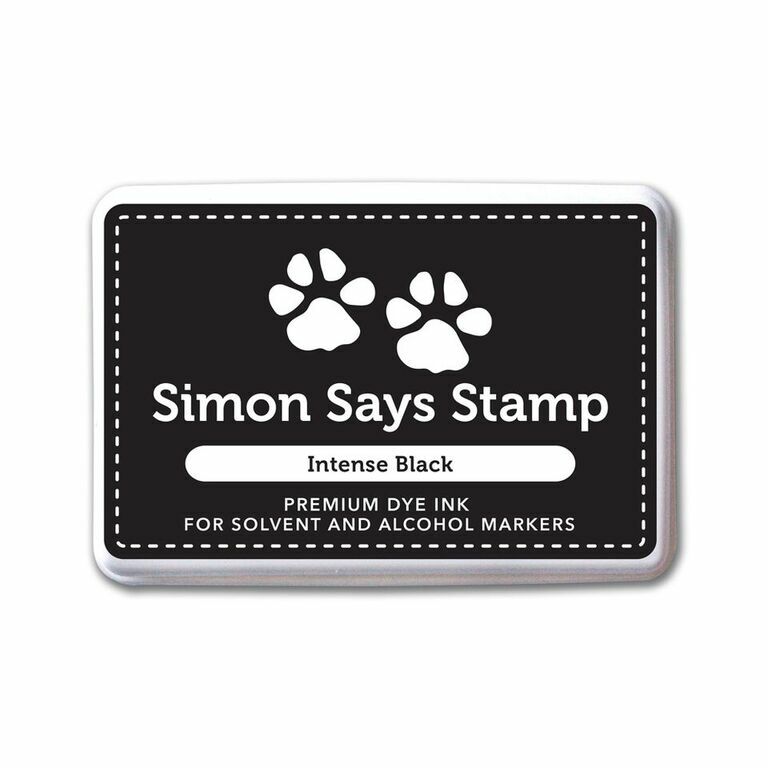 This week we are showcasing Penny Black Products this week. You don’t have to use them for the challenge but if you have them we would love to see them used. 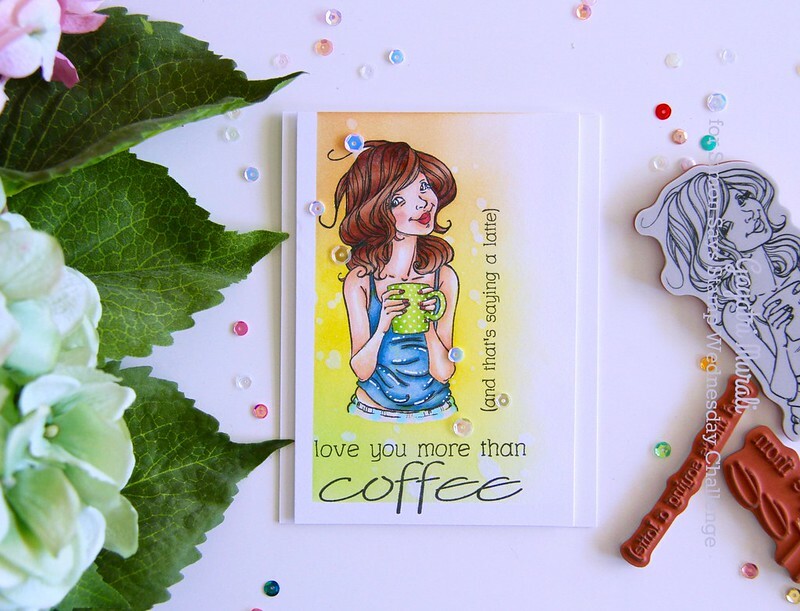 I chose to go with Penny Black’s Saying a Latte stamp set. My daughter has become to love coffee recently and she will definitely appreciate this card. 1. I stamped the image and the sentiment framing the image on a white cardstock panel. Then I coloured the image using copic markers. 2. I used Sakura white gel pen to add highlights to the coloured image. 3. I applied the image completely with masking fluid and let it dry. 4. I masked the edges of the panel about half an inch using masking tape and sponged distress inks – Twisted Citron, Mustard Seed and Dried Marigold. 5. I removed the masking tape and the rubbed the masking fluid off the image to reveal the beautiful background. 6. I sprinkled some clean water and dabbed it off with a clean cloth. This added texture the background. 7. I trimmed the panel about an inch and quarter and adhered the panel to the white card base using foam adhesives. 8. 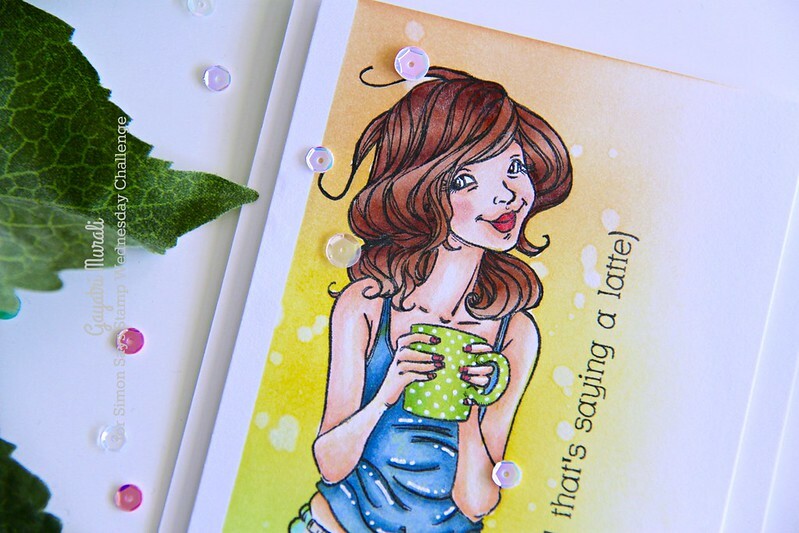 I added some white iridescent sequins to embellish the card. Here are couple of closeups of the card. All the supplies to make this card is listed below. I have one more post come up soon. Thanks for stopping by. A great card and so well coloured. Love it! 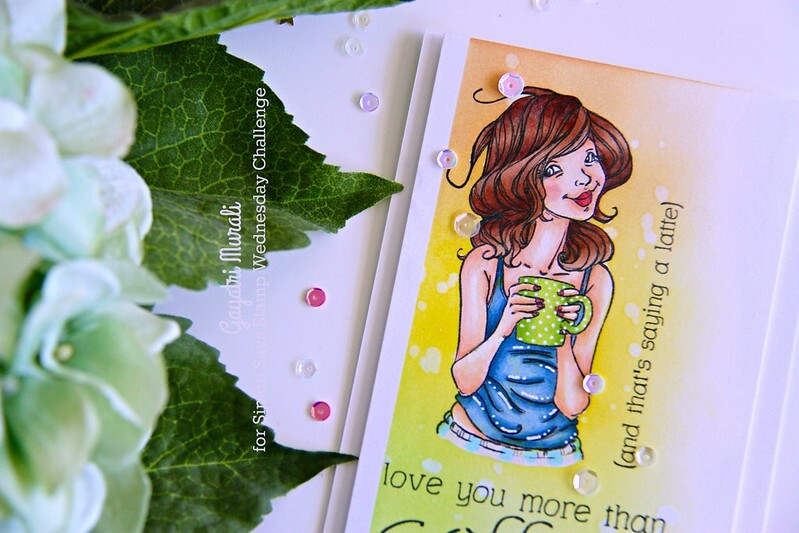 I LOVE the colors you put together, Gayatri! Cute image and sentiment, too!